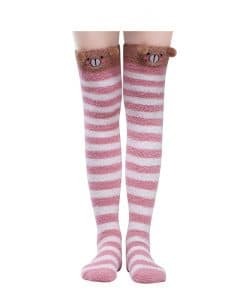 Thigh High Socks with cute paws printed. 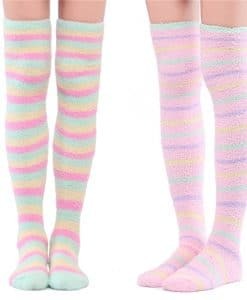 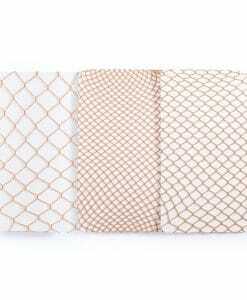 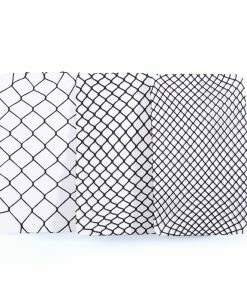 Length – 31.5 inches (80 cm), stretch to 39 inches (100 cm). 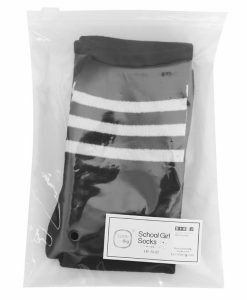 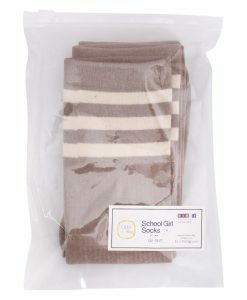 Socks top stretch to 20 inches (50 cm) perimeter. 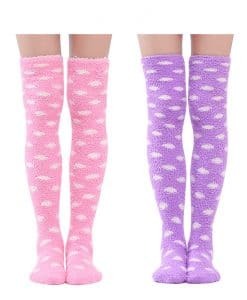 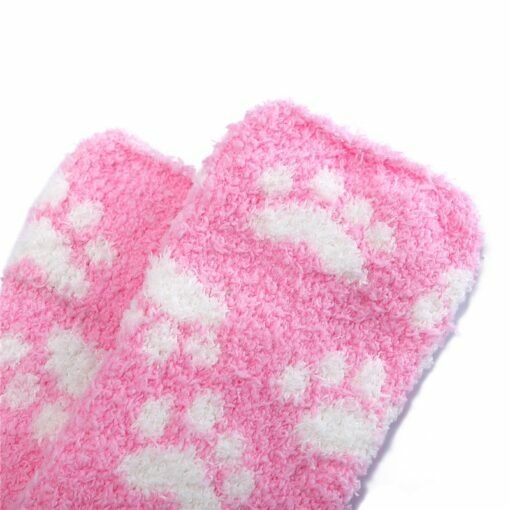 Designed for being cute, Cute Paws Patten Coral Fleece Thigh High Long Socks are super soft to wear, very stretchy with highly elastic. 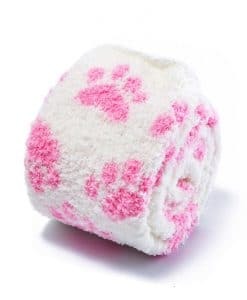 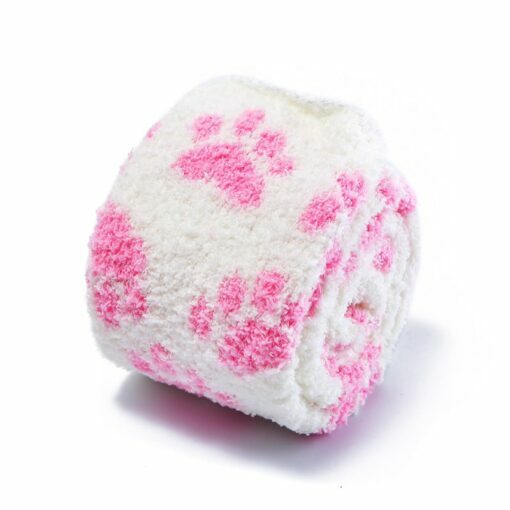 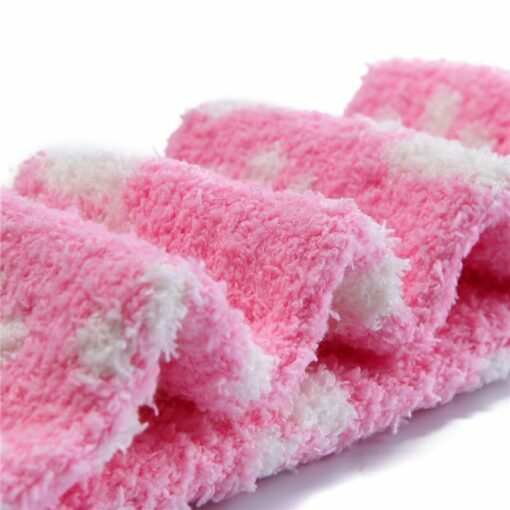 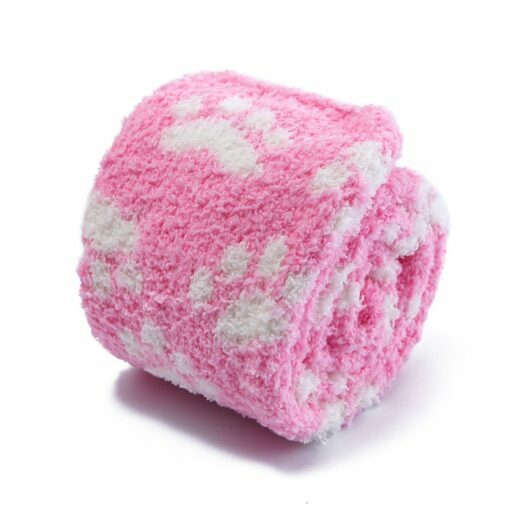 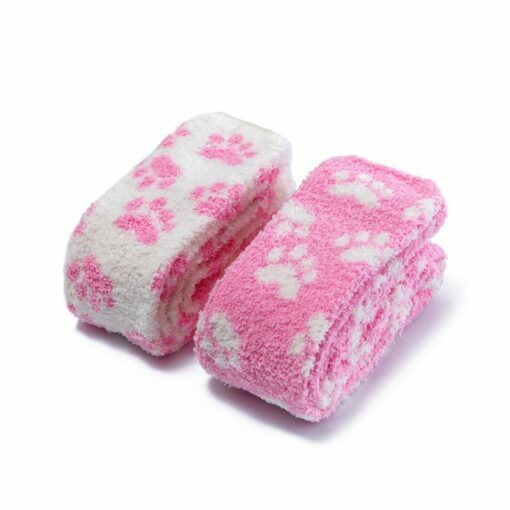 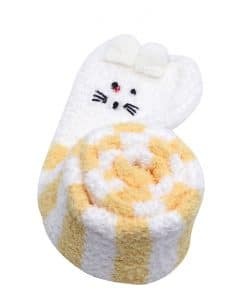 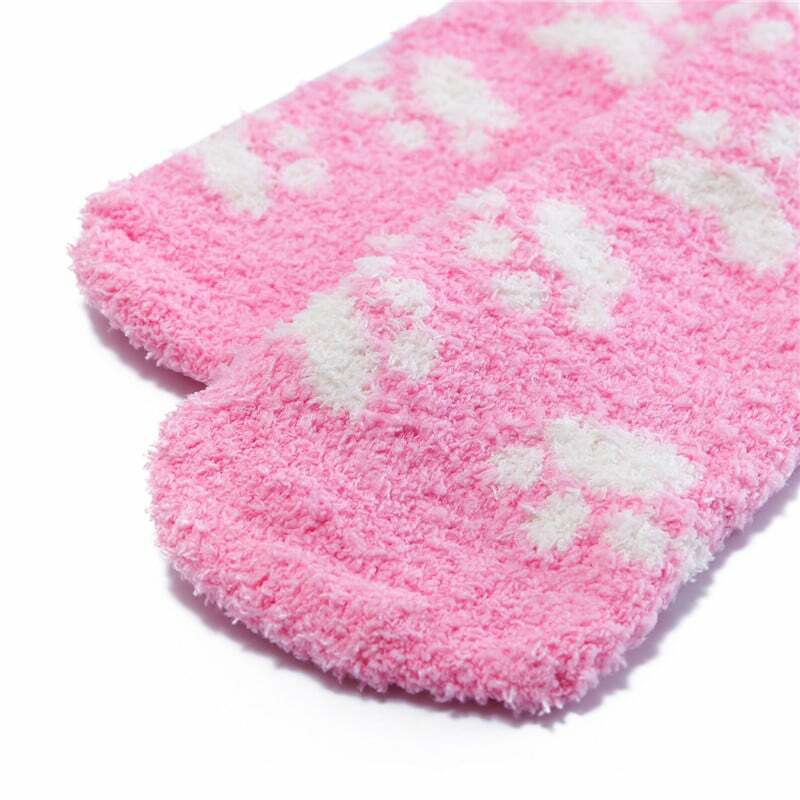 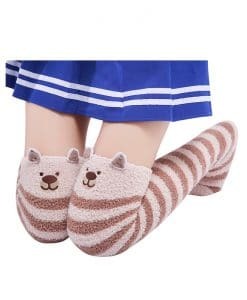 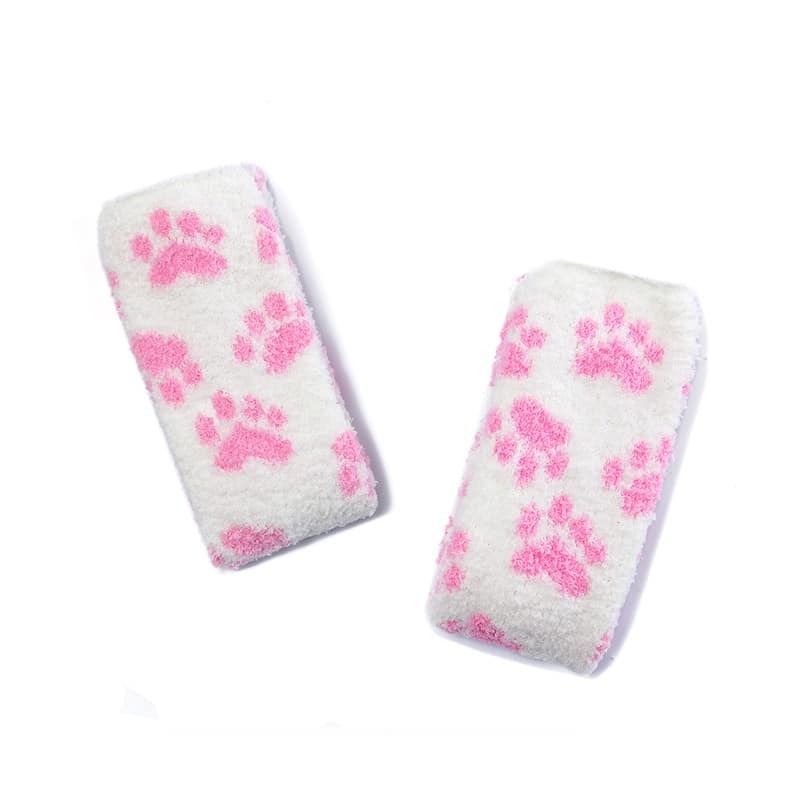 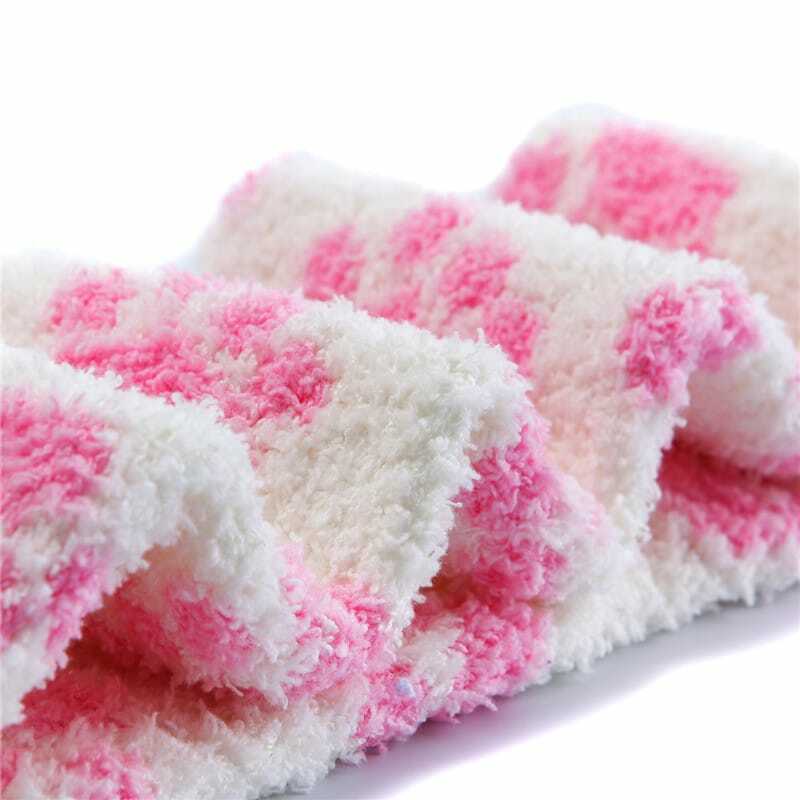 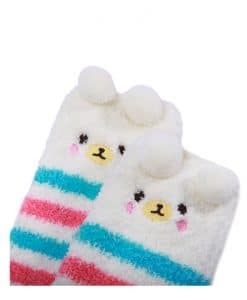 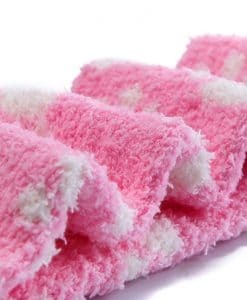 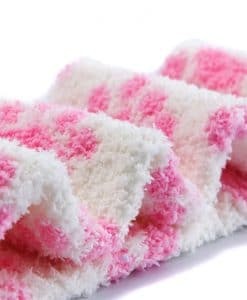 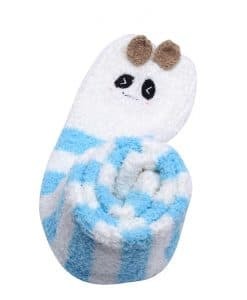 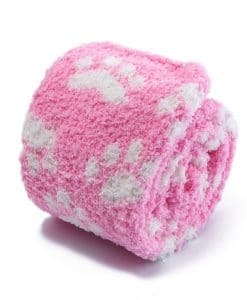 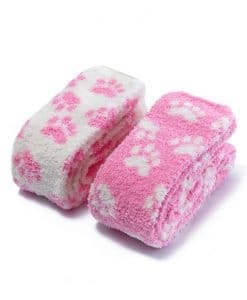 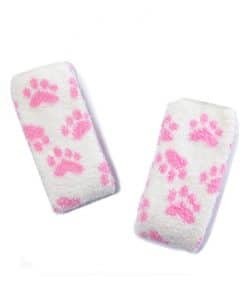 These socks come with cute colors and Paws Patten on it, coral fleece “fluffy” material.